To those who otherwise unaware of what Lunar New Year, or Tet, means to the Vietnamese, imagine it like a really, really long Christmas day. This is a fantastic time of year to be in Vietnam, providing you choose the right place. The hillside town of Sapa can be overrun with tourists, and the otherwise vibrant capital city of Hanoi becomes sleepy, with little going on. 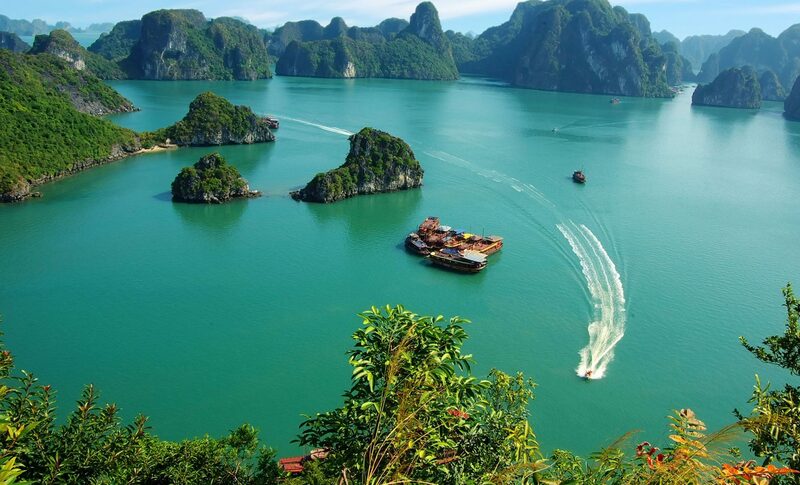 Halong Bay, however, has proven itself to be the ideal place to be during this time of the year. Here are a few reasons why. There’s a good reason why Halong Bay has become one of Vietnam’s must-see destinations. A UNESCO World Heritage Site full of towering limestone karsts, Halong Bay has become a must-visit destination on many people’s travel plans. This does, however, mean that the tourist trade can often get in the way of the superb landscape. Fortunately, travel around Tet decreases because many cruise liners close down for the holiday and domestic travelers will opt to spend time with their families. 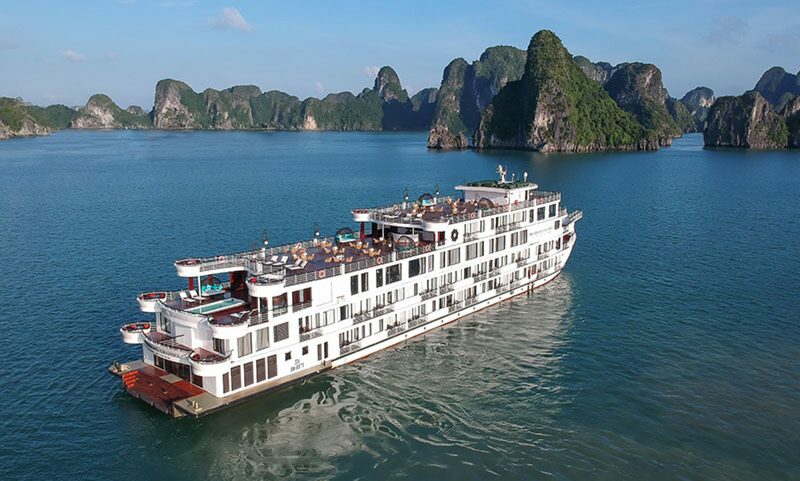 That makes Tet an ideal time to visit Halong Bay, with President Cruises being one of the few cruise liners that don’t let Tet get in the way of your holiday. As with celebrations elsewhere in the world, Lunar New Year comes with its own traditional food. While these foods may not all be a world away from what is usually on the menu in Vietnam, they all carry their own significance this time of year. Some of these foods include steamed square cakes, Vietnamese sausage, sticky rice, boiled chicken, candied fruits, pickled onions, and dried bamboo. While they may not all sound appealing to the western palate, they are all essential eats around Tet. Enjoy a good selection of these dishes when cruising with President Cruises. Halong Bay is a little unusual compared to a large portion of the country. Travel around much of northern Vietnam will become increasingly difficult this time of year. Hotels and public transport will usually be either fully booked or closed completely. In Halong, however, travel and accommodation will be organised through your cruise ship, which will usher you from destination to destination, taking all of the concern out of your trip. Weather in Vietnam can have significant deviations throughout the year and Halong Bay is no exception. From May through to September you’ll find extreme heat and downpours, where the rains can wash away some more adventurous plans. December and January are on the colder side and can stump plans to leave the cruise ship. February, however, walks a delicate tightrope between the two. Highs of up to 21 degrees Celsius lend themselves to outdoor adventure, and if there’s drizzle, President Cruises will provide umbrellas. Tet will fall around the start of spring, where the smell of flower blossom marks the change in the season. Traditionally people will decorate their homes with flowers such as apricot, gladiolus, yellow daisies, lilies, gerberas, orchids and poinsettias. This creates an attractive and friendly atmosphere throughout the bay, decorating this unique and interesting time of year with plenty of color. The National Tourism Year 2018 – What Went Down?